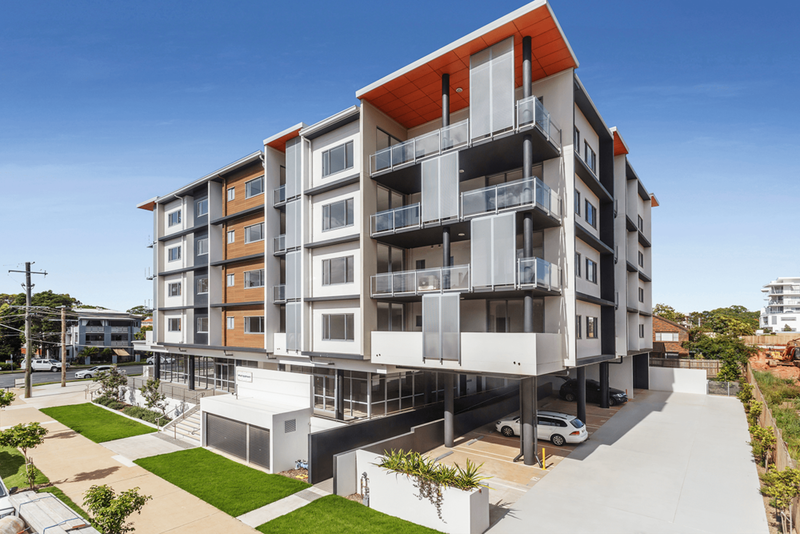 Situated on the edge of Raby Bay, the Wharf Street project is a mixed use development consisting of 210m2 of commercial space and 35 residential units across 5 stories. The commercial tenancies are split into 2, both tenancies are on ground level and activate the streets edge as well as ground the development. 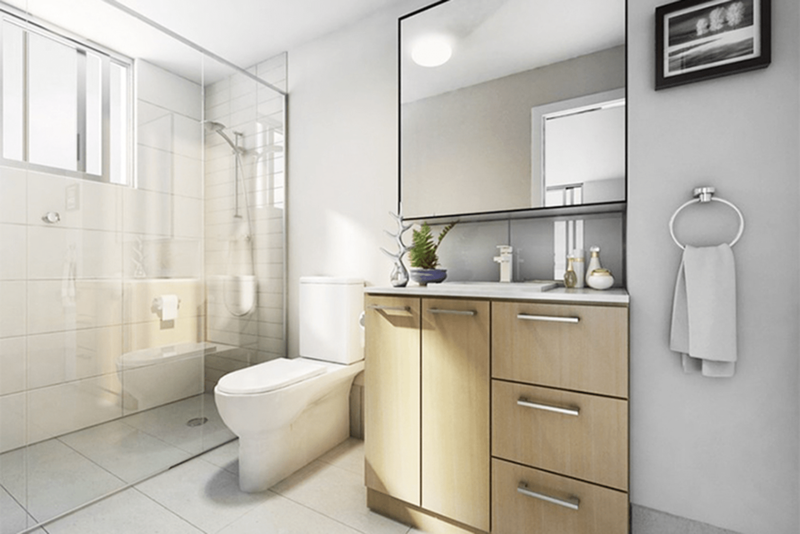 The residential component is comprised of 32 two-bedroom units and 3 three-bedroom units, these dwellings are varied by size, aspect, configuration and level of accessibility, which provides a varied housing stock for future residents. Active and passive recreational facilities are catered for by the communal open space area located in the north western corner of the property; this incorporates a swimming pool, barbeque facilities, a turfed area, and dense landscaped screening. Bespoke materials finish the development with feature cladding to soffits, and walls, and fixed perforated screening to balconies providing both privacy and a filter of direct sunlight. AAD Design completed the design, development applications (town planning and building approval), and also provided project management and contract administration services for this development.